After two years of military control, elections were held in Guinea-Bissau in April 2014. However, the country is still facing political instability. On 8th April 2017, thousands gathered in the capital, Bissau, to protest the current political impasse that has led to serious instability and economic troubles in the country. On 8th April 2017, thousands gathered in the capital, Bissau, to protest against the current political impasse that has led to serious instability and economic troubles in the country. The parliament has failed to meet even once in the last year, creating paralysis and stagnation within the government's main decision-making body. Frustrated demonstrators called on President José Mário Vaz to resign, claiming he has been unable to resolve the country's ongoing political crisis. The protesters, mostly youth, gathered peacefully in the centre of the city, when police turned on the demonstrators, firing tear gas at the crowd. Seven members of the Movimento de Cidadãos Conscientes e Inconformados (Movement of Conscience and Non-conforming Citizens) were detained and held for several hours for questioning before being released. The next protest is planned for either the 13th or 20th April 2017, though the head of the police has threatened the same violent response should the demonstration take place. The LGDH called upon the government to respect the rights to freedom of association and of peaceful assembly. The right to freedom of association is recognised in Article 55 of the Constitution which only prohibits “armed associations and organisations that promote racism or tribalism.” The right is governed by Decree 23/92, known as the NGO Law. 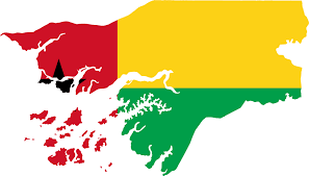 Although the situation improved after the general elections of 2014, attacks against human rights activists are still common in Guinea Bissau and impunity prevails. Freedom of assembly is guaranteed by Article 54 of the Constitution and regulated by Law 3/92 of April 6, 1992, which does not comply with international standards. Freedom of assembly is guaranteed by Article 54 of the Constitution, and regulated by Law 3/92 of April 6, 1992, which does not comply with international standards. For example, according to Article 6 of the law, organisers must communicate – through a letter – their intent to hold a meeting or a demonstration to the Ministry of Internal Affairs and to the police authorities at least four full days in advance. Moreover, Article 5 imposes unwarranted time restrictions for demonstrations which shall be organised only on Sundays, public holidays and on Saturdays, after 1 pm, and on weekdays after 7 pm. In 2016, many took to the streets to protest the nomination of a new Prime Minister, and security forces dispersed protestors using excessive force. Freedom of expression is guaranteed by the Constitution. The media environment improved significantly following the 2014 elections and private outlets are now able to operate in the country. Freedom of expression is guaranteed by the Constitution. The media environment improved significantly following the 2014 elections and private outlets are now able to operate in the country. The State, however, retains strong influence over media outlets. Journalists are subject to harassment and intimidation, especially when they share information regarding the military’s alleged involvement in drug trafficking. Under the Penal Code, defamation remains a criminal offense. There are no cases of government restrictions on the internet, however, access is limited as only 3% of the population have access to the internet.